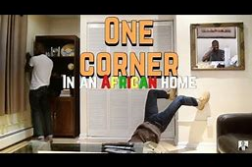 Great Nigerian Students: the response comes as “Great!” This is a close-to-the-lip song of students in Nigeria from time immemorial. The dialogue has served as an emblem of the Nigerian students when they meet locally or internationally. It is yet said louder especially in the face of a fierce protest against the School management on the premise of what they call Unionism or better decorated as Activism. The belief is that during these protests, the dialogue reminds them of their greatness and how they should be treated as a people on such scenery but dropping all quips and verbal plethora of sentiments, pride, self – aggrandizement and bigotry, are they really GREAT? What is great about a student who doesn’t understand the political structure of the country where he studies?, What is great about a student who is streamlined by the courses he offers?, What is great about a student who wakes up every morning hissing because of the “inconduciveness” to good health/morals of where he slept. Tell me, is there any greatness in a student who is governed by a Management that believes in Compulsory Feudalism? , Show me the greatness in a student who later becomes unemployable due to loads of theories that have been placed on his shoulders all in the period of 4, 5 or 6 years of his study in the University. Fish out the greatness in a student who is restive all day due to excessive “repetition” the lecturers call COURSES. His circuitous restiveness is what his lecturers regard as TOUGHENING. They claim they want to make him ‘tough’ for the society’s use forgetting that the Society has outgrown the manual method and transited into Mental Specificity booing away all “toughnesses “- “Ori nla ko ni Headmaster ” meaning One is not appointed an Headmaster because One has a big head. I still search for the greatness in the Nigerian student who cannot solve real life problems without referring to his books that is if the solutions were even there. What is great about the Nigerian student who cannot speak right, finding solace in saying he is studying Mathematics or Chemistry. Why don’t you communicate in Chemical language? What a fatuous sardony! He would have been excused if an Akokite I know, Modiu Olaguro, was not a student of Mathematics. Likening the Nigerian Universities to Sarcophaguses is not a mistake: beautiful environments with dead brains. I am not being scurrilous as some of my readers would think, as I am also in the system but this should be seen as didactic as possible. It is a call to sober reflections. 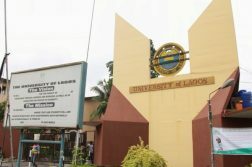 The Mission Statement of the University of Lagos has always been a thing of concern to me. It reads, “To provide a conducive teaching, learning, RESEARCH and development, where staff and students will INTERACT and compete effectively with other counterparts, both nationally and internationally in terms of intellectual competence and the zeal to add value to the world”. Whao! Welcome back from that “paper-work” journey I took you through. Boring right? I am sorry. I won’t say much but I think anyone who understands literature would decipher the message. The mission statement has lost taste and it needs a nutritionist to re-savor. I am still being taught what my fore-fathers were taught, in the same style, the same note, the same threat, probably the same class, in fact, if care was not taken, THE SAME LECTURERS. Let’s say I am in their days. Things have changed! Some would say. Nothing has changed, I would argue. Hardy Cross has not changed to Oyekan Cross. Terzaghi’s has not changed to Obaji’s. Where is the Research? Where is the Change? In order not to be verbose, we all need to brace up. Most of us upon graduation want to work with Multinationals and be paid 6, 7 figures. Let me ask you, With the quality of education you are being offered now, what services can you offer the multinationals that would make them pay you that much without seeing you as a liability. How well are you working on yourself? To the new intakes, you would be out there in the space of 4, 5, 6 years, then you would realize that the University community is not different from the society. What values are you garnering now? Are you investing your time and money in human capacity or clothes? How versatile are you? As I took time to write this amidst many calculation courses and studio works, what are the things you find joy doing? Till the next edition when I will come with my heavy pen, I welcome contributions and constructive criticisms. I am Adeyeye Femi, a Public Affairs analyst and a PR consultant. I finally find a mind thinking the same way i’ve been thinking for months. The Nigerian University system prepares students (who may be all-mighty within the four walls of a classroom but lack foresight) for the typical rat race; who are most likely programmed to live a life of frustration and retire into poverty. The Nigerian University system is designed to cage the mind – restricting creativity and burying potential. Only people who think outside the box can see this. Thank you very much for taking your time to read and I hope we all put the lessons learnt into practice and continue to be active citizens of the World. This is very true, thank Mr. Femi for the write-up. It’s funny how educational institutions in this country graduate a herd of students into the world but only a handful of us actually leave with the ability to make a real difference outside those four walls. I like this.